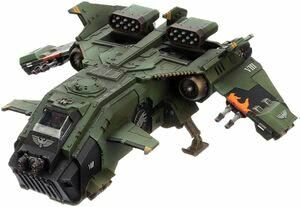 I'm looking into painting 2-3 Fire Raptor Assault Gunships for my Flesh Tearers but I'm having difficulties trying to figure out where to the black. Can anyone help me out? Below is an example of where I'm thinking of painting the black. 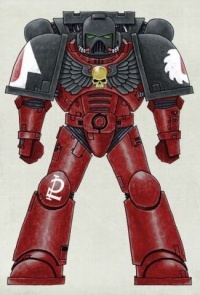 But I'm also thinking about painting the front wings black to kind of represent the shoulders being black on Flesh Tearers. Although I don't have any pictures at the moment, I did similar to what you're thinking for my Flesh Tearers Fire Raptor: I painted the wings and hull my normal FT red, and the cockpit canopy, those nose panels, the front stub wings, the landing gear housings and the ball turrets black. Although the wings are still red, I did paint the vector thruster nacels in black. I had plans to paint a very large blood drop on the top of the hull, but that's when my project stalled and I never got to the detail stage for the plane. Overall, I'd say it's enough black to get the point across and break up the red if you don't want to go any further. It did require a LOT of masking tape, though. Had I thought it through, I certainly would have painted a lot of the gubbins like the stub wings separately and attached later. I also did a Storm Raven with the outer portion of the wings painted black, as well as the canopy and some other panels. Hmmm.... thank you for the ideas! I'll have to think on this some more and see if I can do some testing in paint or a similar program to see what it looks like with different patterns. This might help you with some more layout ideas. 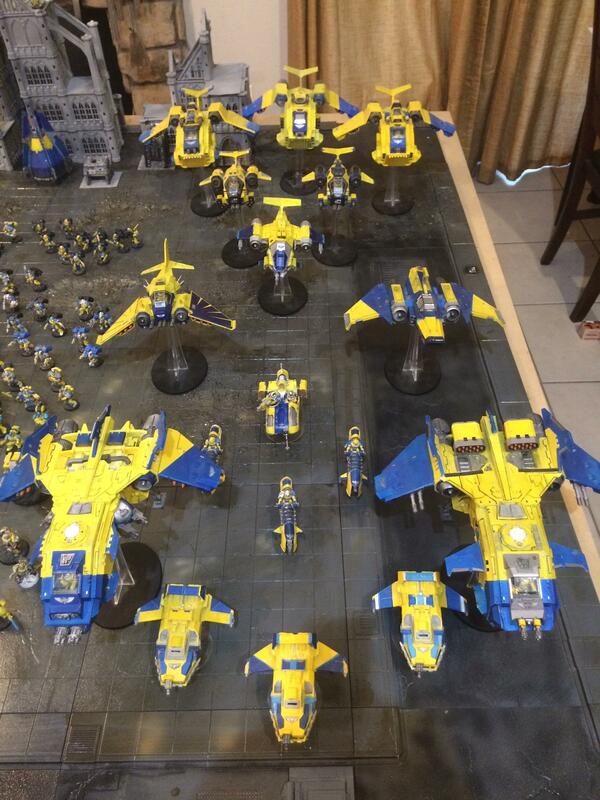 Especially with wing patterns that you could feasibly use besides the variations from following panel lines. Like Ovidius suggested, work in stages, when I painted my raptor I did the main body as one, then followed up with the wings, canards, and stabilizers separately before attaching them.